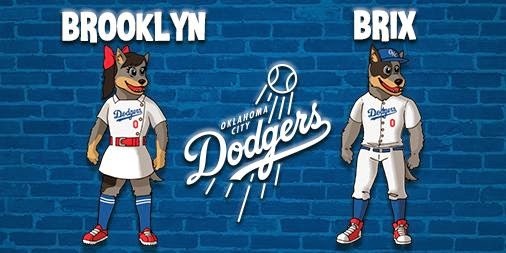 The Dodgers new AAA club in Oklahoma City just revealed their official team mascots by tweeting the graphic above. Check it out. They are cattle dogs and they go by the name of Brooklyn and Brix. You can find out more about them here. "When people think of the Dodgers, they think of Dodger Dogs, of course," OKC Dodgers President/General Manager Michael Byrnes said. "We think that Brooklyn and Brix are a fun, new twist on that connotation." Eric Stephen at True Blue LA has a great rundown on the Dodger roster situation now that Spring Training in Arizona is officially over. Check that post here. Jon Weisman at Dodger Insider lets us all know about the upgrades and new food options available at Dodger Stadium. Drysdale, Hershiser, they were all nice to me. Hershiser suggested Lasorda to make me a stopper. Don't know what happened. They traded me. JP Hoornstra at Inside the Dodgers writes a bit about how statistics can lie: "A brief story about 19-year-old pitcher Victor Gonzalez and minor league statistics." Grandal walked away quite impressed after standing in the box against Gonzalez. He said that Gonzalez was sitting in the low 90′s, reminding him of “Urias without polish” — more typical of a 19-year-old’s repertoire, but with tons of promise. 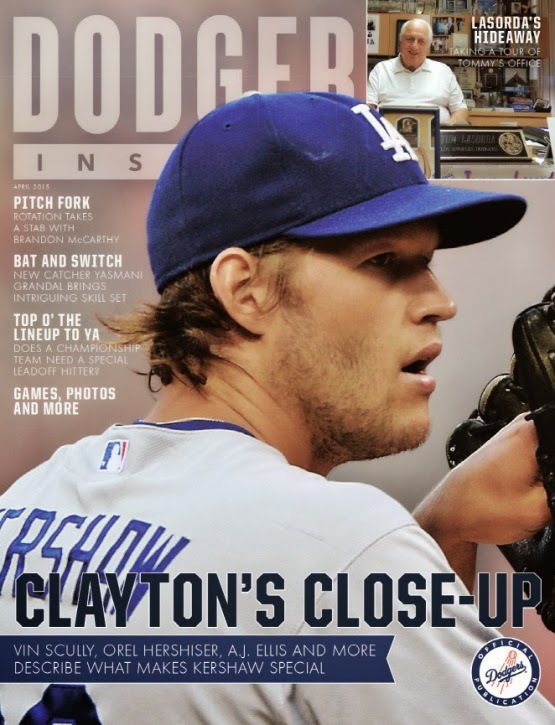 Here's the cover of the April 2015 edition of Dodger Insider magazine on the right. Jon Weisman at the Dodger Insider blog tells us a bit more about what's inside, here. Ron Cervenka at Think Blue LA shares, "An interview with top pitching prospect Jose De Leon." When I came in I was throwing five pitches, now I pitch three. I just focus on the quality of those three pitches and feel more comfortable. I’m pretty sure that losing weight helped me out a lot, I’m more flexible and able to throw the ball down in the zone. But the mental game is the key, for me that’s key. I didn’t have that last year at all. Via Glen Creason at Los Angeles Magazine, "CityDig: This Map Solves the Riddle of the Los Angeles Angels’ 1893 Night Game." #Dodgers officially add Ned Colletti to SportsNet LA broadcast team.